I think you forgot to click the Attach This File button after browsing/selecting the file. 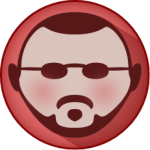 Here's how to attach a file/image just in case. 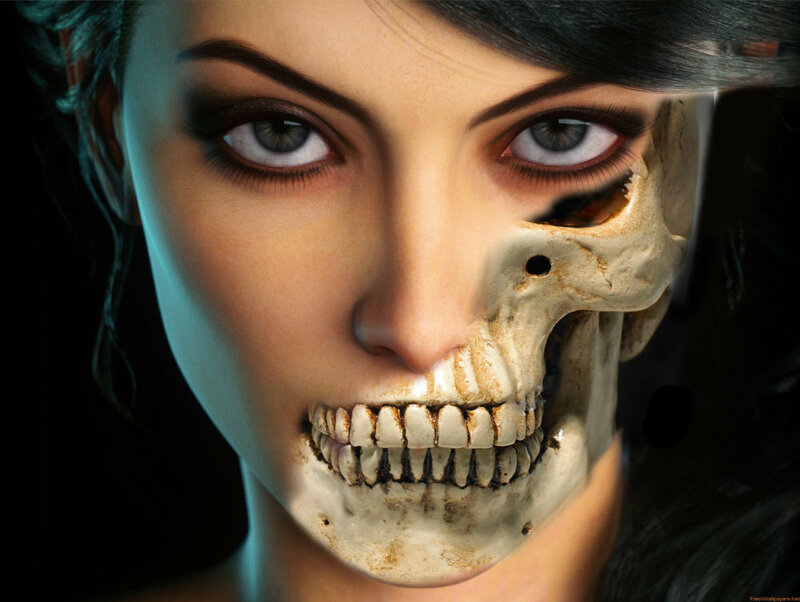 It looks to me like an artist skilled in photo-realistic painting styles added the skull part as a layer overlaid on a photo layer. You could do that with AP if you have those skills. If like me, you do not, you might try finding a suitable photo of a skull, erasing part of it & adding that as a layer over a photo of a face. 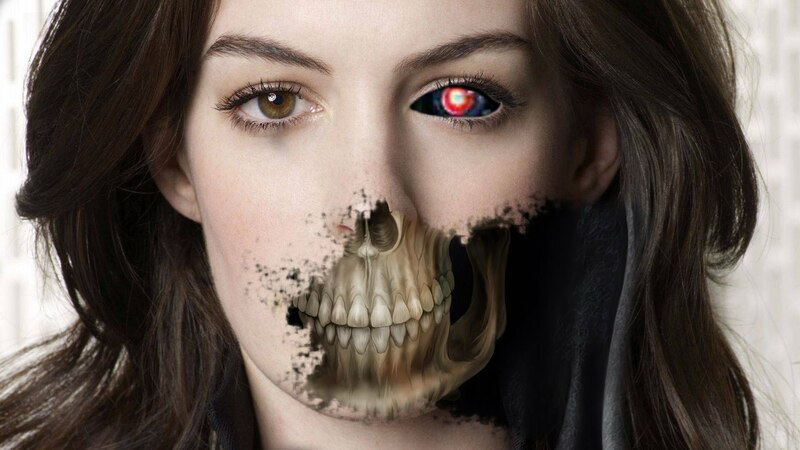 Lower the opacity of the face picture, to say 50%, so you can just see the skull below it. 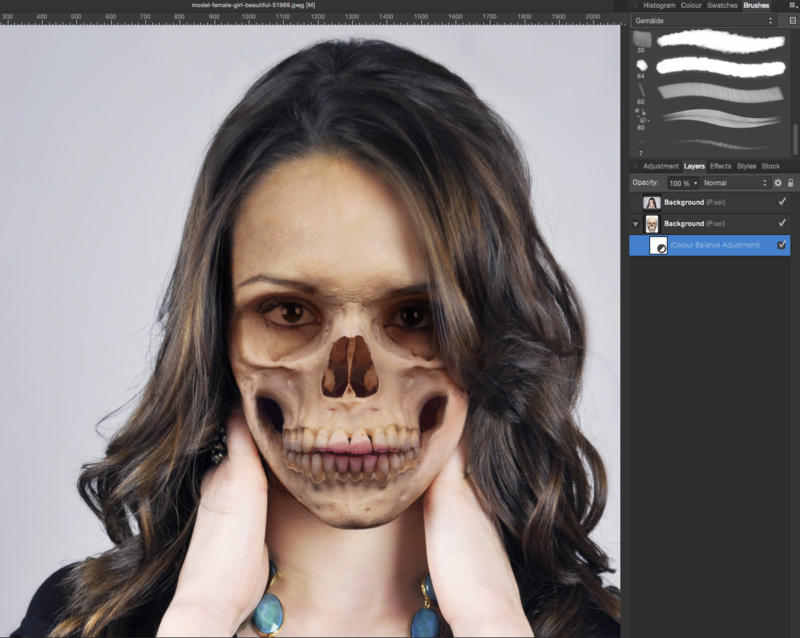 Align the face picture so the eyes, nose, mouth, etc aligns with those features on the skull. Look at the lipstick color on the teeth; LOL.